Isuzu Motors has a long history as a revolutionary truck builder and has gained world-class status for its consistency in setting the standards for the trucking industry globally. Isuzu’s dedication to research and development aimed at continuous improvement and customer satisfaction has cemented the company’s position as the market leader all over the world. One of the company’s main development strategies is to focus on personalized customer care. This means that the organization does not work on a one-size-fits-all model but rather takes time and invests in research to find out the needs of each client. This strategy is clearly visible in the wide range of country-specific modifications made to the Isuzu UTEs as well as the truck spares available. The secret behind Isuzu’s growth and market penetration globally is to work with local companies to establish a truck dealer network in the region. This allows Isuzu to focus on technology and performance of the vehicles and train local technicians and sales teams to meet their stringent customer service standards. In New Zealand, Isuzu has been able to use a specialized franchise system to establish the country’s most extensive car dealer network. This network now consists of 12 master truck dealers with an additional 11 approved service outlets. Despite being the market leader for 18 years consecutively, Isuzu is dedicated to continuously improve its service to the New Zealanders. This work ethic has kept the company far ahead of all its competitors in the market and will ensure that it stays ahead for decades to come. One of the unique innovations that Isuzu has implemented for New Zealand customers is known as the Isuzu Clean Air Solution (I – CAS) technology. 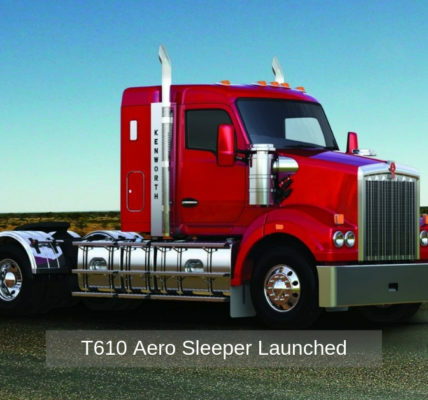 This system is designed to use the latest technology to limit emissions while increasing the truck’s efficiency. Other eco-friendly solutions offered in Isuzu trucks include ‘in-cylinder’ combustion optimization and exhaust after-treatment processes. In line with its continuous improvement strategy, Isuzu designers have been working closely with technical and sales personnel from New Zealand to carry out region-specific research over time. This research has led to the development of a number of upgrades for the Isuzu N – Series trucks or Light Duty Range. The N – Series consists of trucks weighing 5,500 to 8,700 kg. The upgrades and developed will set the trucks a step above the competition making them the most cost-effective and easy to operate light-duty trucks in the NZ market. Colin Muir, the Isuzu Trucks New Zealand general manager confirmed that his technical team had been working closely with Isuzu in Japan for almost two years to tweak the new models. Rigorous tests were carried out in Australia to verify the truck’s performance before they were deemed ready for sale in New Zealand. Moreover, the NZ technical teams were included in the design and testing processes to make sure they are ready to offer support to new and prospective owners. Isuzu is set to launch the new N-Series trucks for the New Zealand market in the fourth quarter of 2018. Apart from the N – Series, Isuzu has a wide range of truck models that come in several shapes and sizes for various purposes. These trucks can be classified into four other categories as listed below. F – Series trucks have a gross vehicle mass of 10,000 kg to 30,000 kg and are referred to as the Medium Truck Range. The local dealer network in New Zealand offers a range of 40 truck models in this Series. Heavy F – Series trucks weigh between 18,000 Kg and 30,000 Kg and are designed for long distances. The FV and FY are the two models available in this series and come in three basic configurations, namely, 8×4, 6×4 and 6×2. These configurations give you various options of bodies to fit on the Heavy F – Series trucks including freight containers, concrete mixers and garbage crushers. The Giga Series is the fourth category in the Isuzu NZ line and consists of trucks whose gross vehicle mass are 24,000 Kg to 29,000 Kg. This truck features Isuzu 6WG1 Diesel Engines and has been a top seller in New Zealand since 2016. The Specialised Series consists of a full range of trucks that have been made for specific purposes. There are many applications that need modified trucks designated to suit the client’s requirements. Trucks in this category usually weigh between 5,500 Kg and 14,000 Kg. Commitment to customer satisfaction is the foundation on which the Isuzu is built. The management teams are always open to innovation. Ideas from clients, technicians, and sales teams feed into the design process of new vehicles. This attitude and adaptability to change have kept Isuzu as the market leader in New Zealand for 18 years in a row going on 19. Previous PostIs Your Business Franchise-Able? Next PostHow Big Does Your Yard Need to Be Fit A Water Tank?